If the SC Lowcountry's extraordinary beauty and quality of life appeals to you, you've come to the right place. Angie Shoemaker – lured from a high-powered career on Wall Street in New York – is an established expert on the southern end of the Grand Strand. Pawleys Island real estate and the resort hub of Litchfield Beach, Surfside and Garden City beaches, and the fishing village of Murrells Inlet are her specialties. Whether you're looking for a modest creekside getaway, homes for sales in Pawleys Island, or a homesite on which to build your dream home, there is no better person to show you all there is to love in this slice of paradise. Of course, there are miles of Atlantic Ocean coastline and a wealth of properties that take advantage of that natural resource. Less known is the fact that that the finger of land known as the Waccamaw Neck is bordered on its western edge by the Intracoastal Waterway, identified locally as the Waccamaw River. That translates to scores of riverfront homes and getaways. And still that's not all. The real estate in and around Murrells Inlet, Litchfield and Pawleys Island is blessed with salt and freshwater marshes and etched by miles of navigable creeks and tributaries that deliver even more real estate opportunities. With regard to lifestyle, there's more to know that space to share. On any given day, residents and visitors can play golf on one of dozens of courses. There are attractions, museums, galleries, formal Gardens, state parks and historic plantation homes. Restaurants range from world class to casual chic. Water sports – from river tours and deep sea fishing to parasailing and kayaking – abound. The shopping is extraordinary. And there's always a parade of concerts, festivals and fun events. A quick review of the honors bestowed on Angie proves she is an exemplary real estate professional – and just the person to introduce you to the region. She is the No. 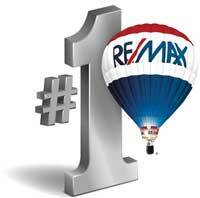 1 RE/MAX agent on the Grand Strand, and the No. 1 agent in all of SC. Three times she has won the Myrtle Beach Area Chamber's prestigious ICE award for providing Impeccable Customer Experiences. If you are interested in exploring opportunities in any south strand community – from real estate in Pawleys Island, Litchfield and Murrells Inlet to Surfside and Garden City beaches, Angie Shoemaker should be your first call. She knows her stomping grounds and can show (or list) Pawleys Island homes for sale, as well as townhouses, condos and homesites for every lifestyle and price point. Buyer or seller, Angie is "at the ready" to help you achieve your real estate goals! Call today and set your dream in motion.